Since the children are currently pawned off to various relatives while Paul and I take a lovely Christmas-y weekend trip to New York City, I thought I'd leave a little post behind spotlighting a few of my favorite ornaments. Every year we buy a new ornament for the kids, and last year I decided to morph the tradition a bit to buying them a handmade ornament each year. I generally buy the ornament the year before (or sometime during the year), and they get the ornament when we decorate the tree. 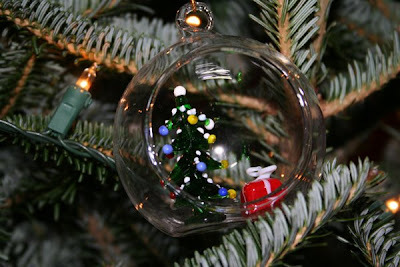 At the end of last Christmas, I found Philip's ornament, along with 3 sibling ornaments, at an art gallery downtown. 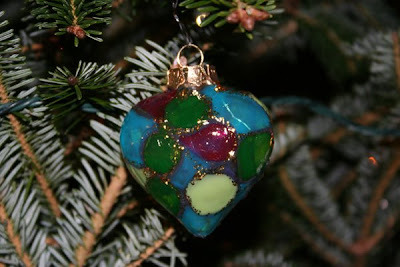 This handmade ornament with the Christmas tree and present inside, came from a glass shop near Piazza Navona in Rome from a trip that Paul and I took in 2004. 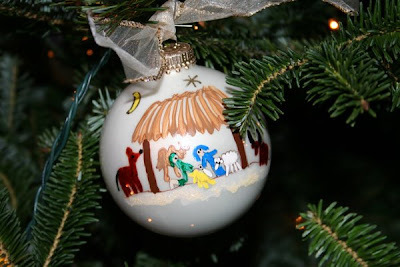 This ornament is one of my favorites, painted by a friend of ours named Tristan. 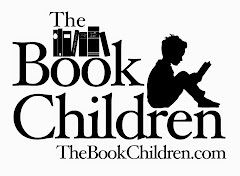 Tristan is an autistic artist, and his mother started a company called Blue Elephant Creations selling products displaying his artwork to help fund the alternative therapies that have helped him immensely in his journey. I'll be back next week full of NYC Christmas to share! You've got some very beautiful and unique ornaments here. I love handmade ornaments the best. have fun in NYC! Have a safe trip in NYC. We do the new ornament every year tradition too. I think I'd like to change it to homemade ornaments too. Yours are so beautiful and so unique. Lovely idea.